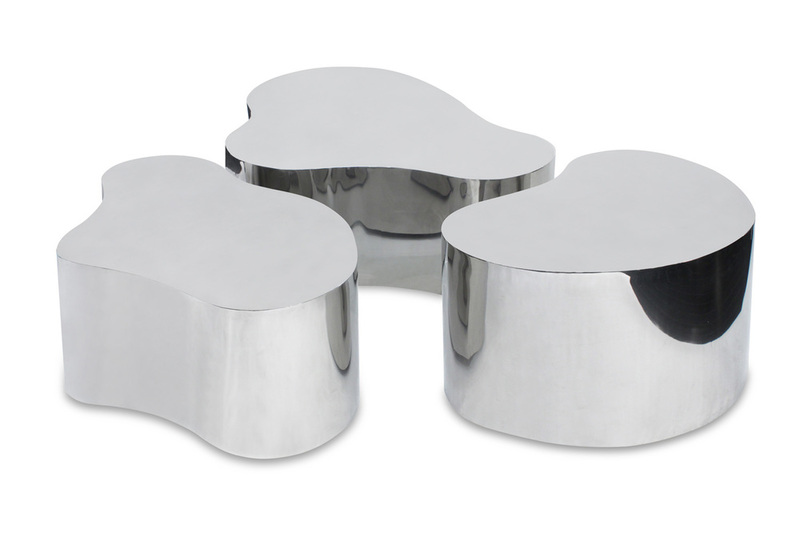 Exceptional complete set of 3 "Free Form Coffee Tables" in polished stainless steel on hidden casters by Karl Springer, American 1980’s. 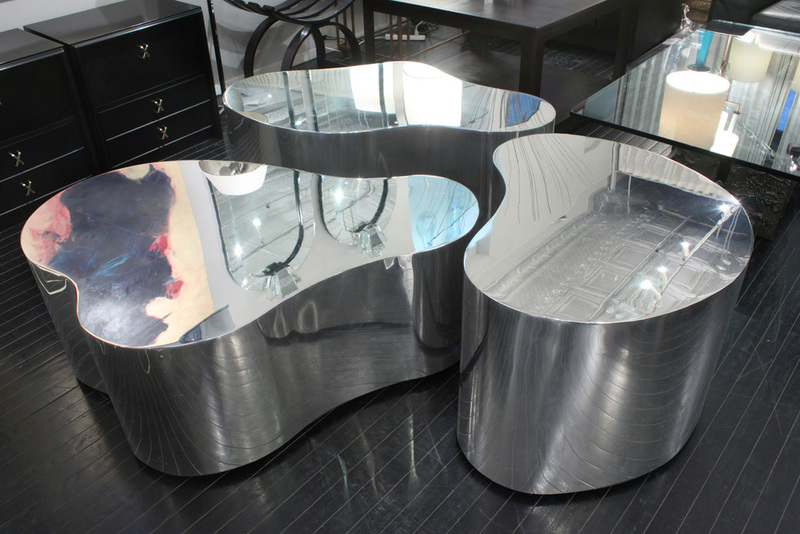 It is rare to see a complete set in polished stainless steel. 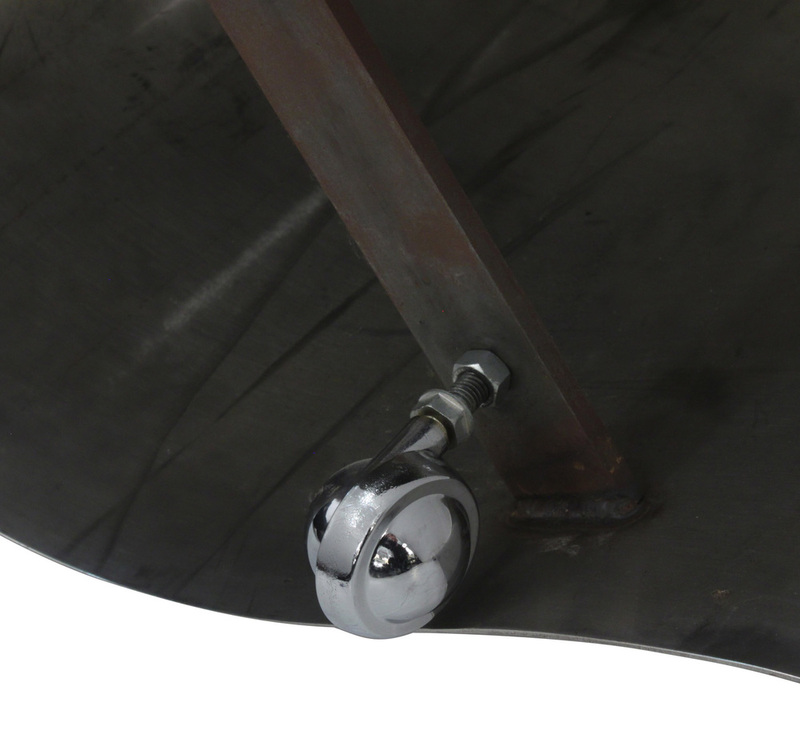 These are seamlessly welded and meticulously crafted. They are considered one of Springer's best designs.